While I've posted pictures from this place at various times, it truly is a favorite place for me, and I've never posted it in this section. 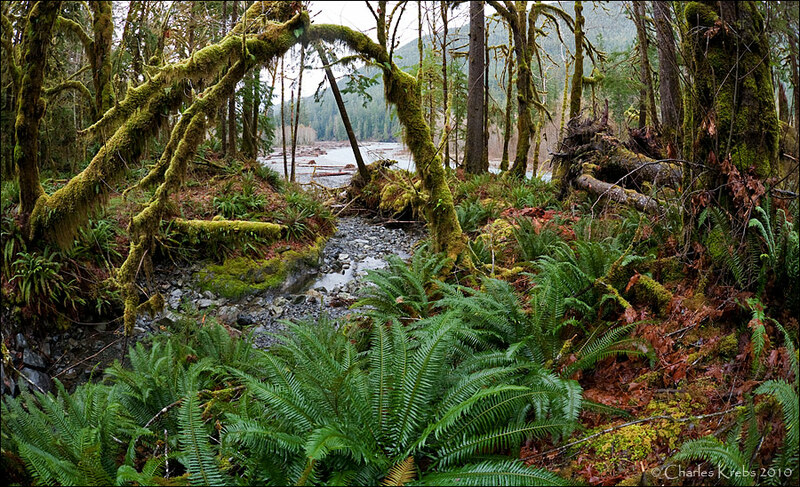 So here are a few recent shots from the Quinault Rain Forest (the small pano is an older shot). 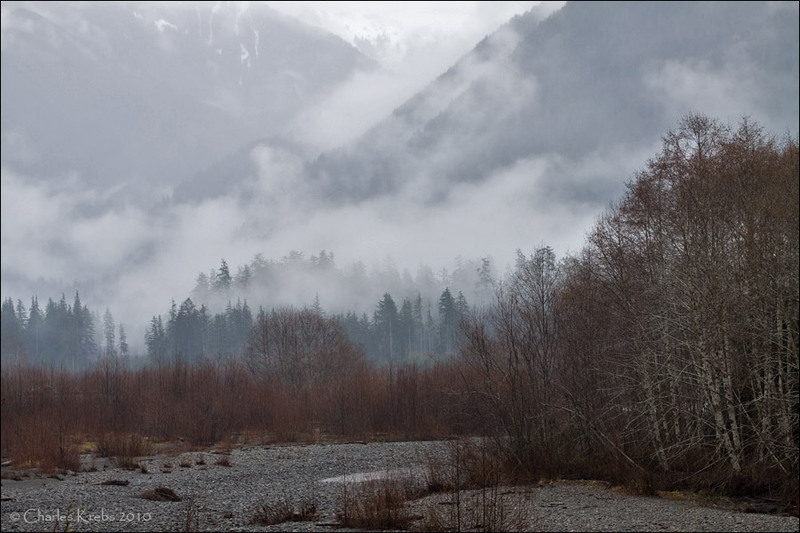 You enter the Quinault Valley at the end of Lake Quinault (47.496 N, 123.850 W). This is what the valley looks like as you enter on a fairly typical winter morning. Below is a small pano I made a few years ago. This is back into the valley about 11 miles from the first picture. I don't get this nice late afternoon sunlight very often... hence the "older" shot. You see Red alders (Alnus rubra) along the river banks. The predominant trees away from the river bed are Sitka spruce (Picea sitchensis), Douglas fir (Pseudotsuga menziesii), and Western hemlock (Tsuga heterophylla). In December 2007 a huge storm hit this area, with steady winds of 80 mph and gusts to 130 mph (and likely greater where they funneled into parts of the valley). Huge numbers of old growth trees were downed (some hundreds of years old and up to 250 feet tall!) Roads were washed out, and much of the area was inaccessible for a long time. Every time I go there now I think of how absolutely terrifying it would have been to be in here at that time. This is a section I photographed last week. 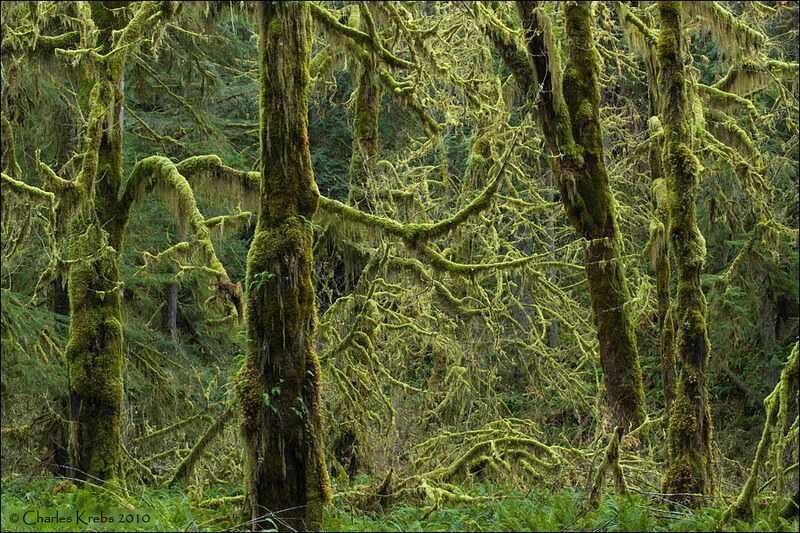 These are bigleaf maples (Acer macrophyllum) that get covered with mosses, spike mosses, ferns and lichens. The mosses and ferns are far more impressive to see in the winter, as they are not as prominent once the trees have leafed out. 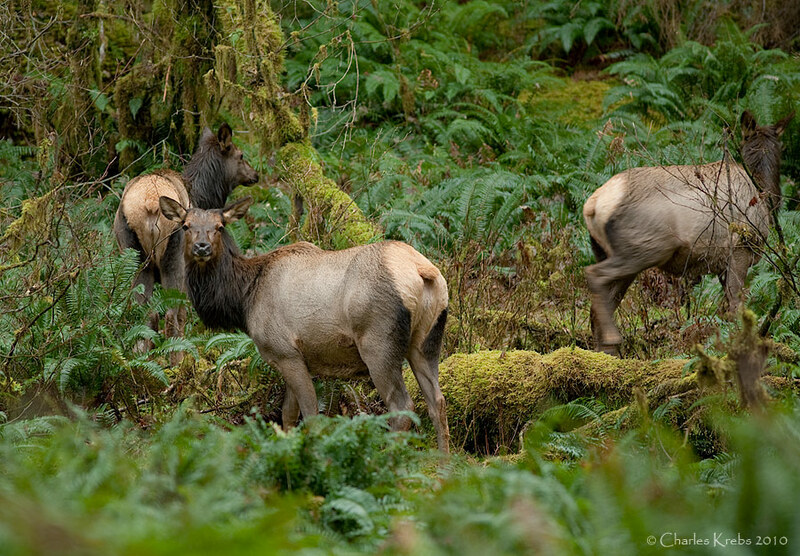 Roosevelt elk (Cervus canadensis roosevelti), are the largest species of elk in the North America and are very commonly in this area. Their presence here was a key reason for the establishment, just over 100 years ago, of what is now Olympic National Park. Bald eagles (Haliaeetus leucocephalus) are very common in the winter. They are attracted to the salmon that spawn in the area. A great place! I can really understand why it's one of your favourites! This is one of North America's assets that it has still so many places left which are not, or not so much disturbed and altered by the impact of man. I would have expected your area to be covered in snow during winter, but with the white-out of this morning and another load of 30 cm of new snow outside my window, it's really a boon and blessing for my senses to see the wildlife and the gorgeous landscape with all those nice shades of green over there. You know that I particularly enjoy your eagle shots! 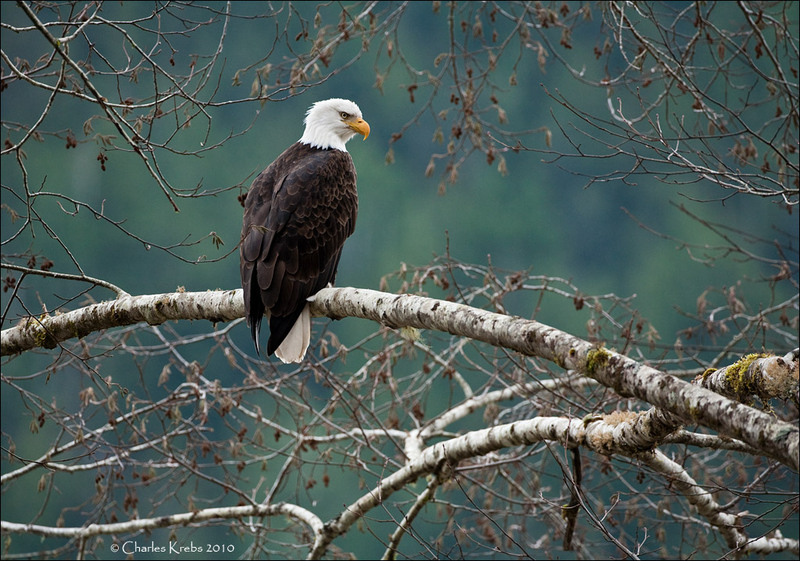 But look again, Charlie: The fine resolution of your photograph clearly shows that this eagle's head isn't bald at all! It's white!... Or "blond", if you like! Wow, that's a beautiful area, great set of photos. Phew, great range of subjects and scenics. I can see exactly why you love it. All the best and very nice to see thanks.